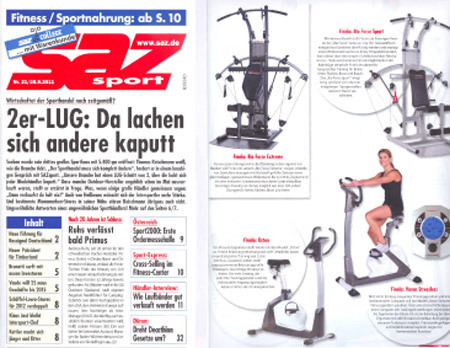 Read test reports, customer reviews and testimonials about our FINNLO BIO FORCE multi-gyms. Numerous exercises, space saving- the ideal home workout. "I have had this device for 2 weeks now. Previously, I was often in a gym. Overall, I am very impressed. You can really train almost everything with a simple conversion and easy load setting. There are many training profiles as well as the option to improvise on this machine. The scale is probably more for orientation than an actual weight compared to free weight training. For me strength training (I'm not into strength athletics, but have a good basic knowledge) and for my girlfriend exercising, this device is the best choice. For those who want to train regularly at home, I highly recommend BioForce." "The well designed and quality made Bio Force Multi-Gym, works very well, and offers a broad training field. In addition, the device is compact, light and quiet. At the beginning of the workout, training without weights is a bit unusual, but you quickly engage and find yourself having fun. The 50Kg resistance on each side should be sufficient for experienced athletes because of the various options. The accompanying training plans, exercises, tips and tricks are knowledgeable and provide additional motivation. For various exercises the cable reels and / or seat can be changed within seconds. I am highly satisfied with my device and will continue to write here out of interest"
"Compared to other fitness studio Multi-Gyms, this can certainly compete. Very stable with no clattering or rattles. I can only recommend it." "We have let the unit of acquaintances build, lasted 3 hours. The Bio Force Extreme was put together by friends of ours in 3 hours. It is used in our bedroom but does not bother us because it is so quiet. The instructions for exercises are very helpful, there is also a possibility to do individual exercises. We can only say that it is really worthwhile to train with this device, because quality and diversity are SUPERIOR!" "As a professional health and fitness trainer, I’m used to expensive fitness studio equipment. While I can’t say much about home equipment, this machine is simply great :-) It’s incredibly rugged, runs smoothly and lets you do an endless variety of exercises. I’m hooked! Of course, it does not work quite as perfectly as professional grade equipment. But it’s a lot better than other $9,000 home multi-gyms I've tested before. I should point out that FINNLO works perfectly at low resistance settings. It also comes with a comprehensive manual that’s packed with some really sought after exercises… It has an infinite variety of fantastic exercises even if you’re really experienced with strength training or are working with a personal trainer." „This equipment rocks! All possible exercises are easy to set up, and it lets you change resistance instantaneously (just pull the handle and slide to the desired level). It’s the top seller at my shop. The instructions are very informative, and the exercise DVD gives a great overview of all of the exercise options. Resistance is provided by nitrogen cylinders that work great. The seat is also removable, letting you exercise standing up as well. It’s also great for tall people (up to 2 m tall). A real hit all around!" „What a versatile piece of equipment!!! It would be impossible to list everything you can do on it. I'll say this much: It’s rugged and easy to use. It runs as smooth as silk and is above all silent! The design will wow you, and the exercise DVD is extremely good at presenting everything there is to know about the equipment. You can even attach different modules that are sold separately. " "The equipment was expertly packed. The perfect instructions made set-up very simple even for one person working alone. Because it has no weights, it’s extremely quiet, and you do not have to worry about children getting their fingers pinched. What you must know first off is that the built-in rollers work only if the gym is not resting against a wall, since it has to be tilted about 30° back before it can be moved. The designers could have done a better job here. The training plan included with the manual is the perfect guide for beginners. It could be improved, though, by referring the user to the detailed descriptions of the individual exercises (which are numbered anyway). Otherwise, the user has to find a way not to spend too much time looking up the exercises before mastering them. The sequence of the individual exercises in the training plan could also be rearranged so that you do not have to constantly reconfigure the gym. Bottom line, this equipment is just right for an amateur not training for Mr. Universe. It’s an incredible bang for your buck if you look at the number of possible exercises it offers and compare it to the cost of several years of membership at a fitness studio." "Great delivery service, cool equipment, years of enjoyment ahead." "Excellent multi-gym with loads of options. Weight can be adjusted quickly for different exercises. Assembly is a breeze thanks to great instructions. Excellent customer service in Kaiserslautern, Germany. Thanks again!!" "I was impressed with the good assembly instructions. I was even able to do it alone. Everything was clearly explained. The individual parts are perfectly tailored to one another. Training is really fun. The only complaint I have is that it takes a lot of strength to remove the seat pins and put them back in. I’m still looking for a solution with the service team. The sheer variety of exercises is impressive, and I like the almost silent operation. I would absolutely recommend Finnlo." First-class gym. My wife and I are thrilled. "It came perfectly packed in two boxes. There were no screws to sort. They were all sealed in a carton and labelled by size and step. Assembly would have definitely been easier had I watched the video before starting. But it’s up now. It’s made of high-quality materials and is even more impressive than it looks in photographs. We’ve done the first wave of exercises and are already seeing positive results in our muscles. This is no toy. It was the absolute right choice." Perfect equipment, easy to assemble, top quality all the way!!! "I’m absolutely thrilled. It was delivered in two boxes. The boxes are really heavy, and you definitely need two people to carry them. Assembly is really easy. The instructions are great. Tools and screws are included, and the DVD gives you everything you need to know. The equipment is really easy to assemble, and I did not need a second person to help (for your info, I'm a woman). Training on this gym is the best, because it's silent and lets you quickly changes between exercises. It's a really rugged piece of equipment. I can’t think of anything negative to say about it! I wish all fitness enthusiasts a lot of fun with the Bio Force. To anyone still considering it, I would say get it! It really works!!! I love it.... :)"
"Great customer service. Excellent assembly instructions." "Very helpful assembly instructions, parts intuitively arranged, especially the screws. This made assembly a breeze. Hammer provided perfect service from order, to payment and to delivery in Switzerland. The gym will win you over with its solid construction and easy operation." "I bought a piece of fitness equipment from you several weeks ago. However, I still haven’t gotten the hang of it completely, especially since the video is in English. I’m really thrilled with both the size of the compactness of the equipment with all of the functions I'll hopefully soon master." "The Bio Force multi-gym is the most versatile piece of equipment I’ve ever used, plus it’s absolutely silent. It's very easy to operate, and switching between exercises is a breeze. Everything is explained very clearly. Unfortunately the DVD is in English, but that’s actually not a problem. The 80 kg of resistance is perfect for someone who is not a pro athlete. It's too bad that the 8-week training plan is not available for download (or I haven't found it yet). "Assembly was really easy. Everything was clearly explained. Exercises are clearly described step-by-step and really make training fun. My family loves it." "I’m thrilled. I’m feeling muscles again that had been hiding for years!!! Very high-quality product, easy to assemble. It's optimal for apartments. No clanking weights. My wife also has a lot of fun with it!!!" It improves your mood and makes you feel good. "Assembly went by without any major problems. However, a mislabeling between the instructions and the screw package caused some temporary frustration. The initial exercises went perfectly. It improves your mood and makes you feel good. My wife also likes it a lot. We do not regret this purchase." "Easy to set up, goes up quickly with two people, good instructions, everything is packed in an orderly fashion. Doesn’t take up too much space, is not that heavy, can be moved thanks to built-in rollers. I’ve only had the multi-gym two days, but can already say it makes a great first impression. It features high-quality construction. Unlike an inexpensive system, everything fits together perfectly. Lots of exercises, all of which are relatively quiet, since there are no weights banging together. Nice service over the phone. Delivery was as promised. Only the shipping company failed to meet their end of the bargain (did not even have a hand truck), leaving me to figure out how to move two 40 kg boxes into my apartment." Ingenious piece of equipment! Quick delivery and assembly, superior service!!! "The equipment was delivered within just a few days. “Thanks to the German instructions, two of us were able to assemble it quickly, needing only two and a half hours. I’ve already done the first training units and have to say that the gym has won me over!!! You can do all sorts of exercises for each of your muscle groups without spending a lot of time setting up. It’s a true alternative to a fitness center. By the way, service is great. One of the pulleys was missing a bushing. I sent it back and received a new pulley within 48 hours. Love it!" This multi-gym is a must-have for anyone who wants to work out at home! "The multi-gym was delivered within a week. Everything was well packed! Great assembly instructions! Folder packed full of comprehensive information (assembly instructions/detailed workout guide). You have (almost) unlimited exercise options. You can train in your apartment without making a racket! Changing between exercises is simple. This multi-gym is a must-have for anyone who wants to work out at home! My wish: As a shorter person, I wish the seat offered one more height level and the backrest could be adjusted a little more." "I purchased the Finnlo Bio Force multi-gym two months ago. It was shipped without any problems. Packing and assembly were simply ingenious. Many furniture makers could learn a thing or two. All parts were packed in such a way that they could be located immediately. The assembly instructions were also great. I’ve been using the gym for the last two months (roughly 1.5 hours every other day), and am very impressed with the quality and user-friendliness. I would recommend it to anyone thinking about buying a home gym." "The multi-gym was delivered by a shipping company. If you open the two boxes, you can even carry the multi-gym part-by-part up a spiral staircase. Assembly took 2 to 3 hours. While I think this is ideally a two-person job, one person could do it without any problems. The highly responsive customer service immediately replaced a box nut with a broken cap and missing protective covers without any fuss. The training possibilities are already more than sufficient. With a little handiwork, you can even add accessories such as an EZ-bar for even more exercises. Changing resistance or switching between exercises takes just a few seconds. It’s well-advertised that the multi-gym looks great and is virtually noiseless. Nonetheless there are a few details that could be improved. For example, I replaced the four carabineers with climbing carabineers (400 kg carabineer). Despite this, I’d still give it a perfect 10 and would absolutely recommend it." "I’m thrilled. I assembled the gym with my 13-year old son. Everything went perfectly and we finished in 3 hours. Since then I’ve already used it three times and would get it again. Working out on it is a lot of fun. The rest of the family wants to get going on it as well. In the past I used a lifting bench or went to a fitness studio. No I can train whenever I want. The machine is really quiet and easy to use. Bottom line: I would absolutely recommend this multi-gym." "There’s just one word that does it justice...awesome! The design is amazing. It has rugged construction. It's completely silent. Assembly is a breeze. It gives you unlimited training options. It’s true what the preface to the training manual says: “No matter what your goal is, you'll reach it with the Bio Force." I’m totally thrilled with this piece of equipment. It makes training enormous fun….and is addictive!!! I would absolutely recommend it." "Assembling the gym went well from the start, and now we have a first-class piece of equipment at home. Resistance adjustment is simply ingenious, and the gym’s noiseless operation wins me over above all. With over 100 exercises, the gym is optimal for both beginners and experts alike. I would absolutely recommend this multi-gym." "Assembly was easy thanks to the step-by-step illustrated instructions. In fact, I’ve never seen better instructions. Secondly, assembly took just 2 hours. The gym is really quiet, and adjusting resistance is easy and convenient. The Bio Force has an appealing, modern look. The illustrated training manual is an excellent tool especially for beginners training at home. The gym can be quickly reconfigured for different exercises. The only shortcoming is that a few exercises cannot be performed by excessively tall or short people exactly according to the instructions. I would absolutely recommend this gym to everyone!" "I’ve already had the gym for a few weeks and could not be more thrilled. I did not buy the gym online, but instead drove to a Hammer store so I could see it in person. The gym was delivered on time and assembled by a Hammer employee. The salesperson was friendly, knowledgeable and motivated. I couldn't ask for much more. I’d give the service a perfect 10. The gym also has superior cost-performance value. Machines that can do everything that the Bio Force provides are expensive across the board. Last, but not least, is quality. I'd even give it another star if I could. I used to use a lifting bench until I purchased the Bio Force. Oh, what an amazing difference! The sheer variety of exercises is incredible. The exercises are well explained, and switching between exercises is not even an issue. Two thumbs up. Buying this gym was a great decision." "I was very skeptical about the Bio Force. My wife and I had used only "classic" equipment in the past! But training on this machine is really easy and effective. The motions are fluid and there's no shifting (resistance suddenly becomes heavier or lighter) during the pulling phase. Although assembly took some time (2.5 hours for two of us), the instructions were fantastic. They simply rocked. They were not confusing at all! Bottom line: I would recommend it 100%! The expert salesperson made the entire experience perfect. She was absolutely dedicated, patient, friendly and knowledgeable. Simply great!!! Thank you!" "Excellent multi-gym! Instructions were very clear. It took me 5 hours working alone, and I was totally at ease the whole time. I really want to emphasize the loads of different exercises. I would buy this equipment again. Their telephone support is commendable." "I’m thrilled! Even assembly was fun!" "Truly first class! Extremely easy to use. I’ve had this piece of equipment since mid-January and am already seeing results! It’s worth every penny! I have a lot of stress from my job and have 2 small children, but this equipment lets me do it all." "I’ve never seen such a professional packing job. Unpacking the product was a lot of fun. The real fun was putting it together. Everything fell into place. Thanks to the great assembly instructions, I’m now my girlfriend’s handyman hero. I was just a pencil pusher before. I can’t really say anything about the quality of the material yet, since I do not know how long the cables will last. Everything else appears to be top quality. Finally, it looks even better in person than in photos." Good cost-performance value, would absolutely recommend it! "I’m overall very satisfied with this equipment. I’ve been using it for almost 4 years (1.5 hours a week). The flaws would be the cable guides, some of which are already damaged. A few spares should always be included with shipment. An adjuster broke after just 2 years, but was replaced under warranty without any problem." "We’ve been using the Bio Force Extreme for just a week. We’re a family with 2 fitness-enthusiast boys. All family members have a great time using the multi-gym. It’s easy to operate. One huge advantage is that it makes no noise! It's just crazy how many exercises it allows you to do. With the materials provided, doing the exercises is no problem. You have to make sure though that you execute the exercise precisely, since they are not mechanically guided. Once two replacement parts (2 incorrect parts were delivered) arrive, I'll be satisfied all-around. PS: Assembly was child’s play for two people. The supplied tools sufficed. The Allen wrenches were very soft and almost unusable by the time we were done. A stronger material should be used here." "I was very excited unpacking and assembling the equipment. Assembly instructions were highly detailed. When first using the gym, I noticed that it works just as well as actual weights. It’s easy to use and is very quiet. However, I’m worried about how long the cables and pulleys will stand up to use. Nonetheless, I did not see any customer comments about this issue on the internet before buying. Let’s just see how it goes. I’ve been very thrilled so far..."
"I’m absolutely thrilled. It does a lot more than my old “conventional” multi-gym!!! It’s simply perfect and incredibly versatile! I would definitely recommend it!" "A very easy to use and convenient multi-gym. While it takes a little time to get used to if you've worked only with free weights before, it's a great piece of equipment. It’s very quiet and packed with exercise. I’m highly satisfied!! :D"
"I haven't had this equipment long, but am very impressed with how easy it is to use. I assembled it on my own. It was easy thanks to the good instructions. It is certainly worth recommending. I’d give very high marks for service, since all of the required parts were delivered and, because of the good instructions, I did not need to contact customer service for help during assembly." "Absolute best piece of equipment. My wife, who's been going to a fitness center for years, confirms that this multi-gym lets you do all exercises. Its silent operation is an absolute hit. Also tops is the hassle-free resistance adjustment – no tedious changing of weights. Simply adjust the slider and go for it. Service is also great. When I first tried out the multi-gym, I noticed that the resistance cylinder was a bit stubborn. A phone call was all it took, and I was promised a replacement resistance cylinder. A small package actually arrived a week later. I thought this has to be some kind of mistake. While the delivery slip had the right article number for a cylinder, it was a cable guide (a tiny piece of plastic) that was actually delivered. I made another call to report the problem. Once again a friendly representative answered who apologized for the inexplicable shipment error despite the delivery slip with the correct article and promised to have the correct part shipped immediately. The new, properly functioning cylinder finally arrived four days later. The whole matter was somewhat annoying, but was handled in a completely professional manner. Despite this delay, I was able to train in the meantime. I would buy the product again in a heartbeat." "Very good customer service, hassle-free order-processing, professional advice, punctual delivery. This piece of equipment is top-notch. It’s of high-quality construction, incredibly effective and highly versatile. It’s very compact despite all the exercises it allows. I’m highly satisfied." "To summarize, the Bio Force is a top-notch product! The delivery service could have at least carried the boxes into my house, but I had to do it instead. But it was delivered on time, so that’s good. While the price is a bit high, you get a high-quality piece of strength training equipment. It was also easy to assemble. I think I’ll have a lot of fun using it --> DEFINITELY WORTH RECOMMENDING!" BIO FORCE CHALLENGE - PRACTICAL and EFFECTIVE! "After putting it off for a long time, I finally bought the multi-gym even though I'm actually well equipped with flat and inclined benches and a lat pull-down machine. But this multi-gym lets me keep my age-related issues (back problems!) at bay more systematically and effectively. Plus it’s fun too!" "I'm of the same opinion of the reviewer before me. The Bio Force Challenge gets 5 stars from me as well! I’m also totally satisfied and was amazed with how many exercises the gym offers and how easy it is to switch between each of them. There’s no muscle group it doesn’t work. True it’s a little expensive, but I’m convinced that’s the price of quality. If someone were to offer me a Mercedes for €500, I’d be skeptical and know something was not right. The quality is top notch. For me the option of being able to work out at night takes first priority, since I often do not come home from work until late. Thanks to the silent resistance system, I can also train during those late hours." "I bought this equipment a month ago. It took me a very long time to make this decision. The price is very high, but you get dazzling quality and loads of exercises. I’m totally satisfied. I was at McFit a few years ago. It was always too crowded though. Weird people. We'll leave it at that. So I saved up for a multi-gym and for the past month I've been able to train when I want. This piece of equipment is completely quiet and I can even train at night if I'm working the late shift. It doesn’t make any noises like other gyms. It can be configured very quickly and effectively. My friends are so stoked that they’re even often visiting for another “round of pumping iron” before we start the evening. For me it’s worth every penny I paid, and the look helps take the edge off the price. Get it if you can. I don’t want to be without mine! "From the start I was looking for a piece of equipment that would let me do as many exercises as possible. Conventional smaller multi-gyms offer very limited functions unless you buy something costing a lot more than the Bio Force Challenge. I had no intention to do this. Through sheer chance I learned from a friend where I could actually check one out, and I hit the jackpot. I was immediately impressed by the look and the finish as well as the volume of exercises (just what I was looking for) and immediately decided to buy it. Assembly was pretty straight-forward, and I was able to get started training. Carabineers make everything easy to set up, and there are no limits to different ways you can configure the multi-gym, unless you strictly follow the exercise manual :-) You can truly train each muscle. Best of all, my girlfriend can also train with me. At a fitness studio, you’re more “on your own”. We’re thrilled all the way. My only small issue is that resistance is not expressed in kilograms. "I’m also impressed! My problem was that the fitness center in my area was too far away, so it was out of the question for me to go there, even though I had been keen on doing something for my muscles for a while ;) Time was also a major factor for me, since I have to work long hours. Therefore I’m very happy that I decided to buy this multi-gym. True the price is an obstacle, but when you're looking to enjoy it for a long time, quality should be a major consideration. I was simply won over by the variety of exercises. It lets even a beginner really work each muscle quickly and effectively. I would absolutely recommend this gym to everyone! It’s a great alternative to a fitness studio!" I’m really impressed with your Bio Force! "To whom it may concern,I gave away my old Kettler and was waiting for the Bio Force with anticipation. As I opened the box, I was in for my first pleasant surprise: Everything was well packed and arranged very orderly. The manual neatly secured in a zipped binder, the flawless paint finish, the small parts sealed to panel, which made it unnecessary to search for the right screw, and the training DVD added to the impression of excellent, well-thought-out quality. Fabulous! I’ve never seen a piece of fitness equipment of this price level that allows such comprehensive training and is virtually silent. There’s no banging and clanging of weights, no additional and unpredictable wear and tear from uncontrolled friction, since there are no guides in which friction can occur. Short and sweet: I’m really impressed with your Bio Force!" Quality is top, service is a flop. "The equipment is simply great. It’s extremely quiet and well built. The price is very high. It could be a little cheaper, but it's reasonable. However, delivery service is subpar. Delivery was scheduled for around 3 o’clock. It wasn’t until 8 that a very annoyed and unfriendly deliveryman arrived. I was not there, but he insisted on not carrying the 50 kg boxes up three steps to my house door. So my heavily pregnant girlfriend had to carry the boxes in the rain assisted by two friends. What a jerk!!!!!" "I was initially shocked when the Bio Force boxes arrived! Assembly took a while, but I managed it without any problems! It’s now up and running and I work up a sweat on it just about every day. It’s a great bang for your buck. The whole thing is incredibly light, and it can be slid over in a flash when I have to vacuum. The Bio Force offers well up to 100 exercises. I do perhaps 10 of them and already feel amazingly fit! "I never liked having to make the long trip to the fitness studio and was desperately seeking an alternative! I definitely found it with the Bio Force! While I surely paid a lot of money, it was definitely worth it. It lets you do great exercises – they’re never dull – and you can even do them late at night without waking the house since the machine is absolutely silent. I'm very satisfied and would definitely recommend it!" "I had the pleasure of assembling my Bio Force Ultimate with my father this weekend. I was impressed with how each part down to the smallest screw was precisely and correctly labelled, which prevents mix-ups and greatly simplifies assembly for "non-Ikea fans" like myself (their furniture is difficult to assemble). Everything arrived perfectly packed and absolutely free of scratches or damage. The assembly instructions are written in perfect and understandable language, and are not some awkward translation from a foreign factory. The workmanship is “better than expected”. The bench is almost studio quality. Nothing wobbles, and everything comes across as rugged and professional-grade. Working out on the Bio Force is great. The resistance system is ingenious. It gives you a better workout than many hotel and fitness center machines (after 20 years of working out at fitness studios and completing various fitness trainer programs, I have high standards). It has an enormous number of exercises and is quickly configured. In short, a recommended purchase!" „In my opinion, the Finnlo Bio Force Extreme multi-gym is truly first class andbuying this product is the right thing to do. This multi-gym lets you train whatever way you want, and I have to say that it offers very modern and innovative exercise options. I am highly satisfied with this machine and have to say that it provides optimal training comfort and convenience. You couldn't train any better at a fitness studio..."
„What’s really special about this multi-gym is its TNT resistance technology. Unlike comparable models which use conventional weight stacks, this multi-gym uses resistance that works even in the weightlessness of space. This multi-gym is simply great and has helped me achieve lots of results in just a year. It boasts a stylish design and looks really regal in black." „In my opinion the FINNLO Bio Force Extreme is a truly excellent multi-gym, and I can only say you can't go wrong buying this piece of equipment. This FINNLO brand multi-gym facilitates full-body training, and its sheer variety of exercises ensures that training will never be dull. The multi-gym boasts high-quality workmanship. The adjustable seat not only provides a high level of comfort, but also ensures an optimal training position at all times. I’m highly satisfied with this multi-gym and think that its generous resistance range makes the Bio Force Extreme the right choice for both beginners and advanced lifters alike." "Nitrogen cylinders provide incredibly effective resistance that is amazingly easy to adjust. You can set resistance between 5 and 100 kg. Bio Force is ridiculously versatile, allowing more than 100 exercise options. The seat can also be adjusted to fit the lifter. You can train in absolute silence! Working out on the multi-gym feels like nothing else. I never could have imagined, since I was used to conventional systems with weight stacks. The best thing to do is buy it and try it. I’m not exaggerating. It’s also great that it takes up so little space. It’s a really cool piece of equipment from Finnlo!" 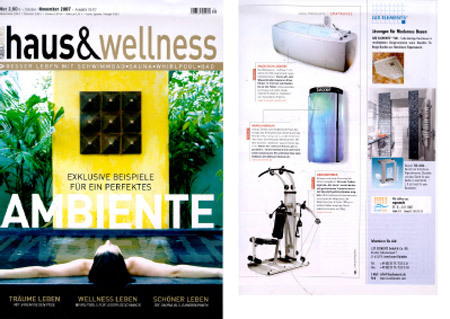 "Finnlo is a German company making high-quality fitness equipment. 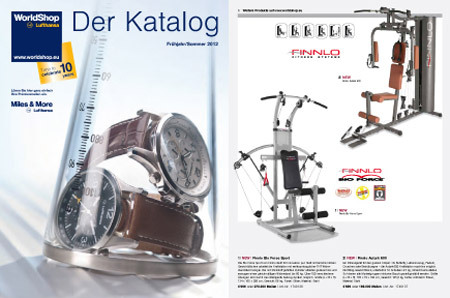 The guys at Finnlo seem to know a thing or two about fitness ergonomics. Finally a home multi-gym that really works. All of the exercise options are equally good. What’s truly amazing about this equipment though is its resistance technology." "My girlfriend and I are both fitness enthusiasts. Because we’re short on time, gym membership is not worth it. So we decided to buy a home multi-gym. After a brief search, we stumbled upon the Finnlo Bio Force and were immediately sold. It's compact construction and silent operation are perfect for our two-room apartment. The variety of exercises ensures we’ll never be bored. My girlfriend is also thrilled. The Bio Force is also nice to look at. The instructions were also easy to understand, making assembly a breeze. The 100+ exercises are also excellently illustrated and explained. Training on the Finnlo Bio Force is a lot of fun, and we'd recommend it to everyone." "Great product!” Finally no more clanking and banging weight stacks. This system is really tops. My boyfriend has been using the Bio Force for six months and is totally thrilled with it. It has all of the important exercises, and saves you a trip to the fitness studio. The Bio Force has an appealing look and also offers something for the ladies. The seat is easily removed so you can do great exercises for the thighs and glutes. It also was the Men’s Health magazine winner. They must know something! I bought a Finnlo indoor cycle two weeks ago, and we now train together." "Great multi-gym for the whole body"
"I recently bought the Bio Force multi-gym from my local fitness dealer and am highly satisfied. Above all, it boasts a unique wealth of exercises. The cable-pulling system lets you train your whole body, even your legs." "As a sporadic reader of Men’s Health, I discovered the Finnlo Bio Force when it was crowned test winner. My first impression: The machine looks great and practical and does not appear to use weight stacks. I bought it because I’m not a fan of going to a fitness studio, but still want to work out on a strength training machine. The machine in fact does not use weights, and exercise resistance changes in a snap via two handles on the crossbar. Resistance is generated by nitrogen cylinders. Best of all, your workout is silent. Resistance can be set between 5 and 100 kg. The machine offers about 100 different exercises, and I can say that there's a host of configuration and adjustment options. Of course I'm not familiar with all of them, since I just got the machine two weeks ago. The machine is very easy to set up and adjust. The included DVD and the comprehensive and detailed exercise manual complete the package. Sculpting your body on the Bio Force is incredibly fun! The machine also takes up very little space, letting you easily fit it into your own little fitness den. Plus it looks amazing. What more could you want? I’m sold by the ruggedness and the price!" "Bio Force is a winner!" "I'm highly satisfied! I recently bought the Finnlo Bio Force multi-gym online from Pereni and have had aching muscles ever since – which is good! The machine sets up for countless exercises without a problem. I recently found a few favorites. The multi-gym is a very good piece of equipment, looks great and fits well in the bedroom (until the kids are out of the house)." In 2008 premium fitness brand FINNLO introduced Bio Force, the multi-gym that revolutionized strength training. 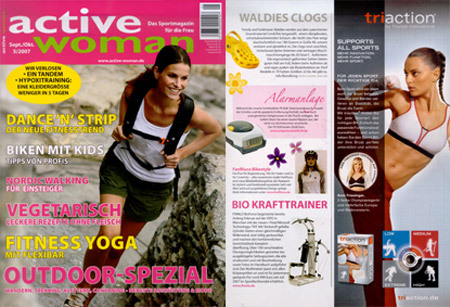 Since then renowned fitness and lifestyle magazines such as Fit for Fun, GQ, Shape and active woman have covered the Bio Force. 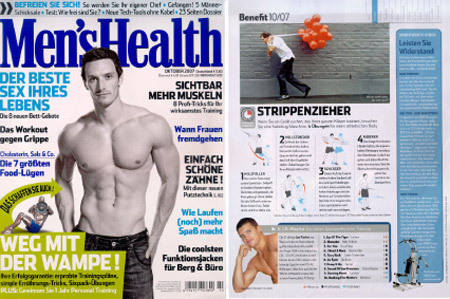 Men’s Healthrated the Bio Force the best multi-gym under €1,000 in 2009. 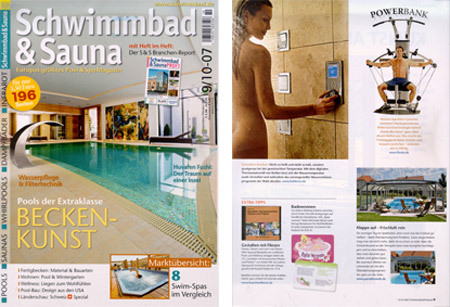 Women’s magazines Glamour and Gala have also taken notice of the innovative multi-gym. 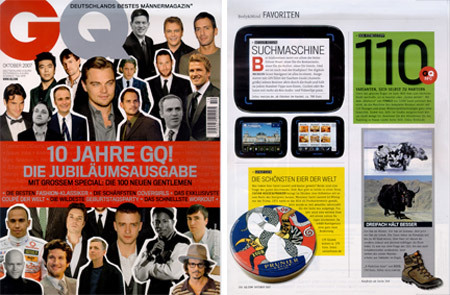 Lufthansa Magazine offers the FINNLO Bio Force 2011 in its frequent flyer awards program. 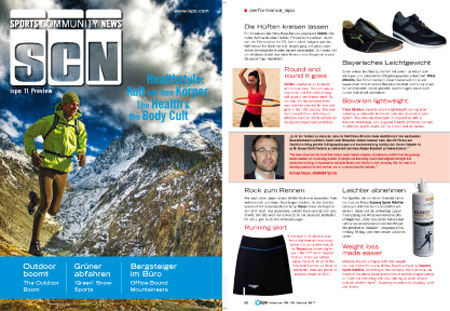 Below are just some of the publications in which the FINNLO Bio Force multi-gym has been featured. 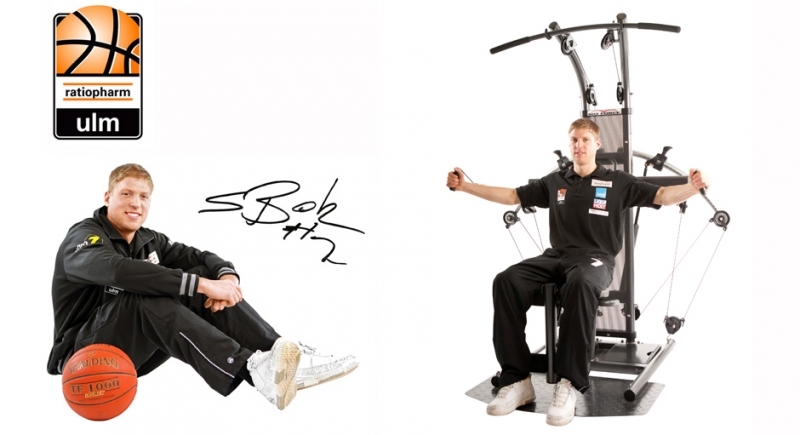 The members of German elite league basketball team ratiopharm Ulm, 2012 German Cup runner-up, know the Bio Force multi-gym very well. The innovative multi-gym has been the go-to for strength training at this top level team's training facilities for several years. The cables are great for core exercises and sport-specific strength exercises. Sebastian Betz, a small forward who wears number 7, explains: "The Bio Force Extreme gives me excellent function-oriented training. The cables allow over 100 different exercises! This is perfect for training every muscle so that I can get in shape for games!" All of these Bio Force multi-gyms are conveniently available for purchase online at hammer.de, the official shop of HAMMER SPORT AG. Take advantage of excellent manufacturer service and expert advice and buy your Bio Force Sport, Bio Force Extreme or Bio Force Challenge multi-gym directly from hammer.de and get a free 12-month warranty extension. HAMMER also offers free shipping within Germany. We’d be happy to help you pick out the Bio Force that’s right for you and provide tips and tricks for your strength training at home.